This class is for anyone with some previous experience in needle felting. 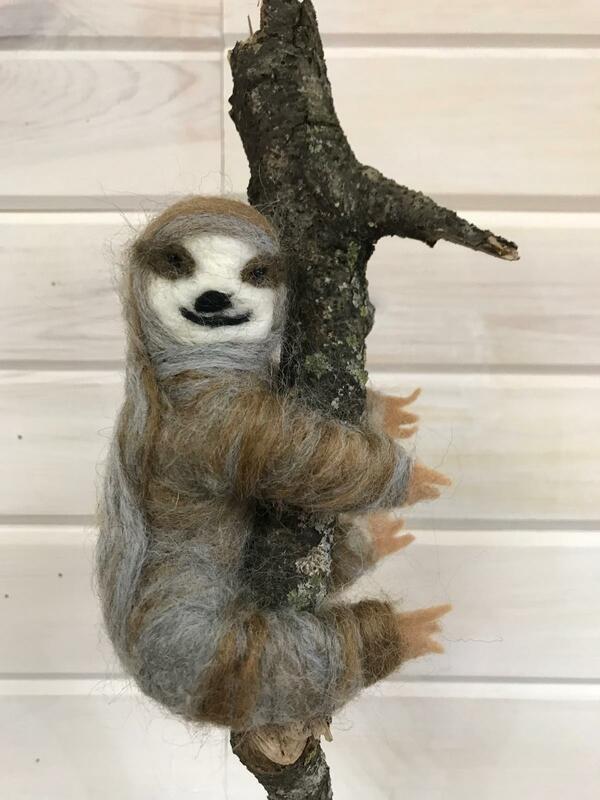 Instructor Alie, will show you how to make this cute Sloth complete with bendable limbs. 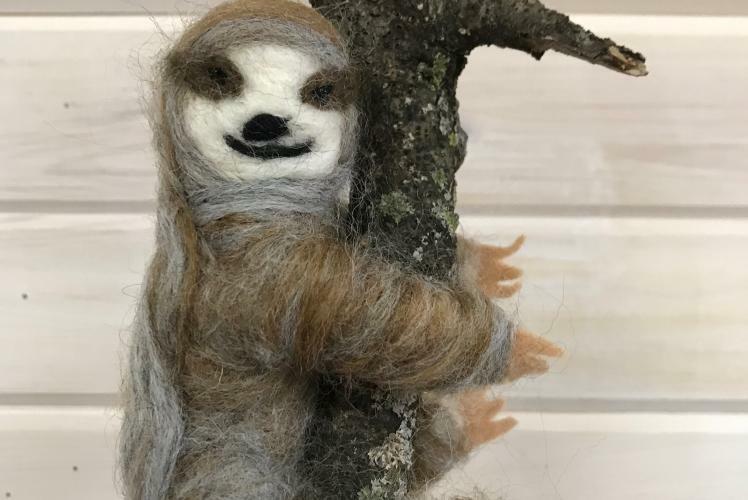 We will make a wire frame and needle felt our sloth around it with wool. This cutie will be able to bend and hang on any desired object. All materials included. Pre-registration is required.